KLVA (M) Sdn Bhd was established more than a decade to provide rewinding, repairing and overhauling service to users of all brands of AC/DC and HV/LV electric motors, pumps, transformers and alternators. Since then, the company has grown to employ a highly skilled workforce to serve some of Malaysia 's leading companies. These include customers in construction, entertainment, hotel, lift, management, manufacturing, private and semi – government sectors. Apart from that, we have also been appointed as the authorized Malaysian service centre for US based Baldor Electric Motors. 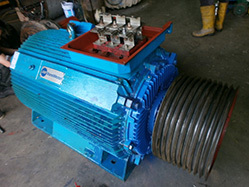 Established as a electric motor rewinding company in Malaysia, we strive to provide good customer service. 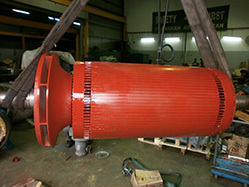 We source and use only the best quality materials, and stock an extensive range of spare parts. Our prompt and reliable customer service ensures minimal disruption to your business in the event of an unexpected breakdown. After-hours service and on-site attendance are available when and if you need them. Our qualified staff can also help with professional advice when you have to decide whether to repair or replace a problem motor. "ASSURING YOU OF OUR SERVICE AT ALL TIMES!" Our mission is to provide outstanding service and quality in workmanship to our customers at reasonable prices – regardless of the status of their company or the type of their industrial requirement. To achieve this goal, KLVA provides 24 hours service a day, 7 days a week to help keep the Malaysian Industrial sector running. Our technicians are able to visit any of your job sites to conduct professional inspections or to provide recommendation with fault finding. We also pick up and deliver your work anywhere in Malaysia around the clock. 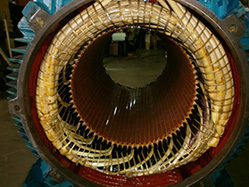 We provide a warranty of six (6) months on rewinding work.